Grains are the primary food source for humans and animals across the globe. These goods therefore also form the overwhelming majority in international trade and shipping. 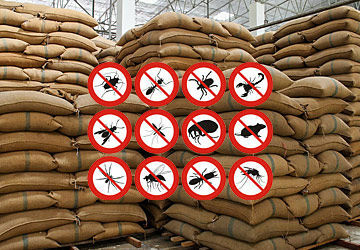 If you are finding harmful pests in your Grains storage or warehouse, and you'd like to know if Grain fumigation is the best option for your warehouse, reach out to Pestinct Pro Solutions. Pestinct Pro Solutions specialists are happy to help you zero in on the best solution for your problem. We can even get you signed up for a free inspection.